Added on December 18, 2018 by Ali Beasley. Added on December 16, 2015 by Ali Beasley. Focal Point VR today announced the launch of its innovative virtual reality (VR) technology, a live-streaming high quality VR video platform. The company will draw on its founders’ game development expertise to deliver social engagement and interactivity within live-streamed VR and pre-recorded VR videos. Sumo Digital Appoints Ian Livingstone CBE as Chairman, Kats Sato as a Development Director; To Open Second UK Studio in 2015. Added on September 22, 2015 by Ali Beasley. Sheffield, UK. 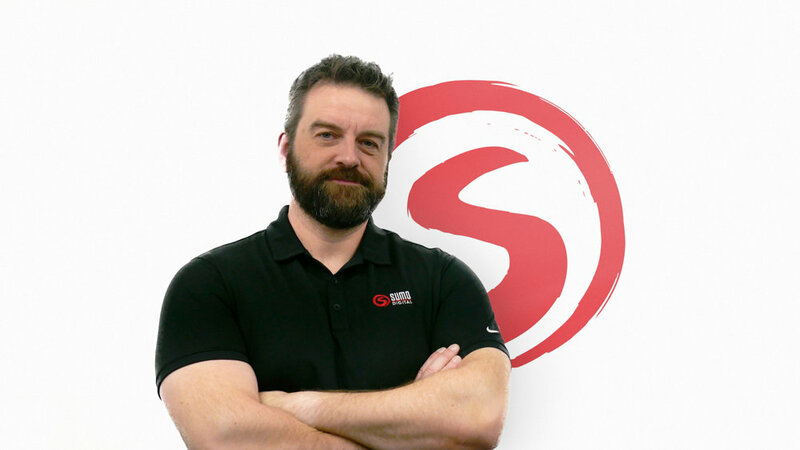 Sumo Digital, a world class and award winning independent developer, today announced the appointments of Ian Livingstone CBE as non-executive Chairman and Kats Sato as a Development Director. Added on May 27, 2015 by Ali Beasley. Amsterdam, The Netherlands. 14 May 2015 - Cook & Becker asked some of the hottest artists working in entertainment and video games today to draw and create a print of their favorite classic SEGA games. The idea was to create a series of beautiful prints under direction of SEGA that would capture the heart of these classic brands, their aesthetic and what they meant for people playing them and growing up with them. Maarten Brands from gallery Cook & Becker: "We're committed to the visual culture of video games and new digital art. The last couple of years we've worked successfully with top game developers, artists and publishers to release fantastic editions of concept art and designs of some of the best and artistically interesting video games. If you go back further in history though, there is less high-resolution material available or images have not been archived etc. So we decided to work with the original rights holders and artists working in games and entertainment today - people who grew up with these classics - to make new prints that would capture the feeling of those games. A sort of tribute art but officially licensed and made in conjunction and with direction of the rights holders and people on the original teams if they were still there." Many great artists participated and started working on concepts. Today the first 5 designs from 5 different artists are unveiled and made available to purchase worldwide. Among them artworks by known sci-fi and fantasy illustrator Kilian Eng, Marvel and game concept artist Gerald Parel and artist Julien Renoult, who was Sunset Overdrive's Lead Concept Artist among others. The artists created the prints under art direction of Cook & Becker and SEGA working from the original assets. The images are made under official license. They are fine art Certified Art Giclees, available in a limited-edition of 200 each. They are large poster sizes of 24 x 36" or 60 x 90 cm that will fit any standard frame. The first 25 of each will retail for €99 / $99 / £75 after which the price goes up. In summer 2015 a second set for other games by other artists will be released. Cook & Becker warmly invites any artist that want to participate to contact them via their website. Digital artist Kilian Eng (https://www.candb.com/en/biography/4/kilian-eng.html ) is well-known for his retro scifi and surreal landscapes. His prints and posters are in high-demand with collectors. He was worked on images and covers for many Marvel, Disney and HBO brands. Kilian Eng says about his Phantasy Star print: "When I learned about this project I thought it would be fantastic to get the opportunity to work on Phantasy Star. I remember several older SEGA games fondly, but Phantasy Star was my first pick. It was really fun digging into the Phantasy Star universe again after so many years since I last played it. It’s a really good game with a lot of nostalgic value for me." Gerald Parel is an extremely talented artist. He works freelance and is part of top concept art and design studio Sixmorevodka. He is maybe best known for his Marvel comic book cover art. "When I was a teenager, I was very much into Conan and all things barbarian. So when around that time I played Golden Axe, even only for a few hours, it left a precious mark in my memory. It was THE barbarian game in my book. Then decades later, I noticed Mastodon's (Metal Band) riff man was playing on a Gibson called "Golden Axe" and it brought back so many good memories! The choice to pick Golden Axe was then obvious when I started working with Cook & Becker." Julien Renoult (https://www.candb.com/en/artist/25/julien-renoult.html) is one of the best concept/character artists working in the industry. Recently he was the lead concept artist on Insomniac's sumptuous looking Sunset Overdrive and worked on Nike's: The Last Game ad for the Brazilian World Cup as well as the 2012 BBC's London Olympics promo animation. He currently works on a project at MMO game maker Trion Worlds. Roman van der Haven (https://www.candb.com/en/biography/10/roman-van-der-haven.html) is a visual storyteller and 3D character artist both active in the art market and in the creative industry with past clients such as Nintendo and Guerrilla Games. He has created ads, toys and prints. "Jet Set Radio is maybe my most favorite game and to be able to make a new piece under SEGA's flag was one of my dreams come true. Jet Set Radio is such a rich world, full of character. We decided to go with the current design, a clear and iconic image of Beat running for the cops. I had to be respectful to the source material but also to add my own, unique style to it. Working with SEGA's creatives on the composition and style was an interesting and fun experience." French artist Emmanuel Malin is a designer in the creative industry that also creates art. His almost analogue looking digital paintings often have a lot of Asian influences and Shinobi played a part in that. "I remember when the first Shinobi was out on Master System, I was so frustrated because I didn’t have the console, and as a kid, I was totally fascinated by Ninjas. The mix of martial arts, swords, shurikens, and the great outfits were a winner for me ! After a long wait, I finally got my hands on The Revenge of Shinobi on the Megadrive, which remains one of my greatest videogame memories; I am still playing it on 3DS when the need for old-school platformer kicks in. I was thrilled to have this opportunity to paint a tribute to the game, with an emphasis on demons and dark magic." Added on May 21, 2015 by Ali Beasley. Drive Any Track is a unique music based driving game that turns any song into a 3D arcade race track. DAT combines music-based track generation with acrobatic score-attack stunt racing. Added on April 23, 2015 by Ali Beasley. Malmo, Sweden. 23rd April 2015. Mediocre, the award-winning developer behind a string of hit mobile games including ‘Smash Hit’ today released Does Not Commute for iOS & Android. Added on November 21, 2014 by Ali Beasley. Added on November 4, 2014 by Ali Beasley. In collaboration with Microsoft Corp., the promotion, which runs for five months from November 3, is targeted at indie makers of innovative and engaging games who want to reach a broader audience. In return, the successful developers will receive a package of bonuses including: a priority review for Windows Store promotion, a license to Windows 8.1 Pro, a Windows Phone device and a Marmalade Indie License. Added on October 28, 2014 by Ali Beasley. 28 October 2014. Paris, France. EISKO, the developers of high quality, accurate and ready to use 3D characters for entertainment today announced that it has received investment of 500K Euros/$642K. EISKO will use the investment, from telecom investment fund Codariane to market and disseminate its 3D capture and reconstruction services giving the unique benefit of delivering lifelike ‘digital doubles’ for video games, movies, advertising and events. Elite: Dangerous Beta 2 Announced for 30 September. Added on September 20, 2014 by Ali Beasley. Major gameplay additions and 30th Anniversary celebrations. Added on July 21, 2014 by Ali Beasley. London, UK. 21 July 2014. Marmalade Technologies Ltd, providers of the free, top-rated cross-platform app development tool, today announced a brand new offer for developers who deploy their Marmalade apps to the Amazon Appstore, enabling them to reach the rapidly growing audience on Android devices, Kindle Fire, Fire TV and Fire Phone. Added on June 24, 2014 by Ali Beasley. Elite: Dangerous Premium Beta 2 Released. Adds 3 New Star Systems, the ‘Hauler’, Orbis Class Starports & German language. Added on May 16, 2014 by Ali Beasley. Alpha 4 vastly expands scale, scope and depth over the previous Alpha versions, being set within a 200 cubic light-year volume containing five star systems centred around the Boötes constellation: Eranin, Dahan, i Boötis, Assellus Primus and LP 98-132. Just in time for the holidays Frontier today releases the new Elite: Dangerous Alpha Phase 1.1 - Single Player combat, which is an updated version of 1.0 with new stereoscopic 3D features we are testing. We'd like to thank everyone for their positive feedback on the Alpha test so far. Craig Pearson from the Rock, Paper, Shotgun website got a hands-on look at the Alpha Phase 1.0 build, and you can read his impressions in a detailed piece here. To get the latest build Alpha backers can simply re-download the Alpha build from the Elite: Dangerous online store as before. If you want to get involved, access to the ongoing Alpha testing phases can still be purchased from the store. Have a Happy Holidays! The Elite: Dangerous team is going to take a well-deserved rest now – although there will be people supporting Alpha backers over the holidays - and we’ll be back in the New Year with a bang! Added on April 10, 2014 by Ali Beasley. Frontier today announced the delivery date of the next milestone in the development of its forth-coming Elite: Dangerous game. The Premium Beta effectively starts today, with Premium Beta players able to download a single player combat build of the game. The full Premium Beta will start on 30th May 2014, and until then, players will be able to practise with the single player combat build. Upgrades are on sale now for anyone who has already pre-ordered the standard Beta or the final game, via this link. Before the first Premium Beta release, Frontier will release one final Elite: Dangerous Alpha phase, Phase 4, which adds Travel and Trading. Alpha phase 1 covered the vital moment-to-moment combat and ship controls. Alpha phase 2 added internet-based multiplayer capability. Alpha phase 3 expanded on these technology tests to add docking and the first elements of gameplay progression. Alpha phase 4 expands significantly on this with two modes of faster than light travel - in-system 'super-cruise' and between-system 'hyperspace'. The full Milky Way galactic map, containing some 400,000,000,000 star systems, will be present. Alpha 4 gameplay is focused on a 200 cubic light year volume of space, far from Earth. The date and further details of Alpha Phase 4 will be announced shortly. Alpha contributors get early access to future builds and a lifetime benefit of discounted in-game ship insurance. Elite: Dangerous Alpha access is available for order until 25th April. “The Alpha process has worked well for us. We have gradually built out the key elements of the game, first locally, with single player combat, then with a few thousand players across the internet. On 30th May the Premium Beta extends this to many thousands of players worldwide, with an increasingly rich game. I want to take this opportunity to thank all those who have played such an important role in Alpha testing, and I’m very happy that we will continue to benefit from their valuable input as they test Beta builds approximately 2 weeks in advance of release. Added on April 1, 2014 by Ali Beasley. Frontier Developments plc (AIM: FDEV) and Gollancz, an imprint of the Orion Publishing Company, are delighted to announce the authors who will be writing their three tie-in novels set in the world of ELITE: DANGEROUS, the ground-breaking Kickstarted sequel to best-selling computer game ELITE. Frontier received crowd-sourced funding for ELITE: DANGEROUS via a hugely successful campaign on the Kickstarter website, and now has over 45,000 backers. Gollancz contributed over £13,000 to secure the rights to publish three related books. After much discussion and many volunteers, Gollancz editor Marcus Gipps selected the authors and collaborated closely with Frontier to ensure continuity and reflect the evolving game world. The original game ELITE was one of the best-selling and most iconic computer games of the eighties, and has been credited with inspiring generations of game designers and players. It was the first game to be packaged with an accompanying novella – ELITE: THE DARK WHEEL, by Robert Holdstock. Holdstock was an award-winning and much-respected author, and had a long relationship with Gollancz. Gavin Smith and Stephen Deas are regular Gollancz authors – having produced 15 books between them over the last few years – and their combined talent makes this a gripping tale. Simon is currently writing X-MEN for Marvel Comics and CROSSED for Avatar Press, and has written for Judge Dredd, Wolverine and many other popular characters. He has published two novels with Hodder and five licensed novels based on Warhammer and 2000AD properties. Gideon is best known for his comic novels featuring THE PIRATES! and was the scriptwriter for the Oscar-nominated Aardman film THE PIRATES! IN AN ADVENTURE WITH SCIENTISTS, based on his books. I was delighted by the response to our involvement with ELITE: DANGEROUS, and very grateful for all of the authors who contacted me and asked to be considered. It was a difficult decision, but in the end I think we’ve ended up with three remarkable books, each of which takes a very different look at the expansive game Frontier has devised while still feeling part of the same universe. It’s been wonderful to work with Frontier and our four talented authors, who will bring their own fanbases to the books. I am a huge science fiction fan, avidly reading sci-fi novels since I was small. I’ve always enjoyed rich, consistent worlds, so the ability to work closely with a number of authors as we create our own galaxy-wide fiction has been amazing. ELITE: DANGEROUS includes thousands of inhabited star systems with their own histories spanning more than a millennium, with details ranging from what people eat to how they are governed. We have worked with the authors to include things in the game that they need for their fiction in the worlds in which their stories are set. Books are a great way to bring such worlds to life, and will fire players’ imagination and enthusiasm for the wider game as well as, of course, standing as creative works in their own right. I look forward to reading the final books. The books will be released for sale as eBooks in major digital stores on the 15th of May 2014. Collector’s hardbacks will then be published for sale alongside the retail release of the game later that year. Elite: Dangerous Alpha 3.0 Releases. Docking and Ship Outfitting; Game Progression; Cobra Mk III. Added on March 14, 2014 by Ali Beasley. Elite: Dangerous, Alpha Phase 3.0 - Docking & Ship Outfitting, is today released to all players who have backed or bought Elite: Dangerous at the Alpha stage. After successfully proving out the moment to moment combat gameplay, and multiplayer technology in Alpha phases one and two respectively, phase three starts to move towards building out the game by adding docking, an early version of hyperspace jumps between multiple locations and ship outfitting within an iconic Coriolis space station.